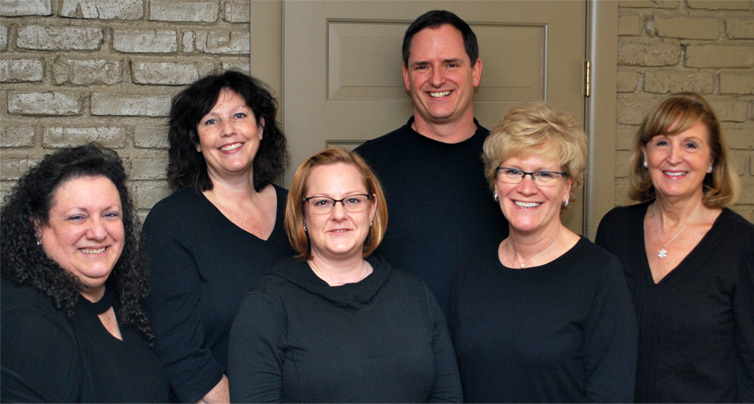 Welcome from all of us at the dental office of Dr. Christopher Walsh, D.D.S. Dr. Walsh welcomes patients of all ages to his Western Avenue, Guilderland, NY office, where he and his staff have been providing quality professional dental care for nearly 20 years. In addition to general dentistry, Dr. Walsh is certified to provide Lumineers® for his clients - a contact lens thin porcelain veneer that provides beauty & strength to your teeth. The latest dental technologies are utilized to highly benefit our patients. For example, x-rays are taken using the Schick CDR X-ray sensor which is simply placed in the patient's mouth and is directly connected to the computer. The result is excellent quality x-rays with no wait time and more importantly, far less radiation. Crown technology, featuring CEREC, allows Dr. Walsh to create and mount your crown in a single visit lasting less than 2 hours! See Services for more detailed information. All this with a friendly manner that sets you at ease in the chair! Please note that we are not currently accepting new patients. Note: This website is intended for informational purposes only and not for the diagnosis or treatment of any ailment - please see a dentist or other health care professional.